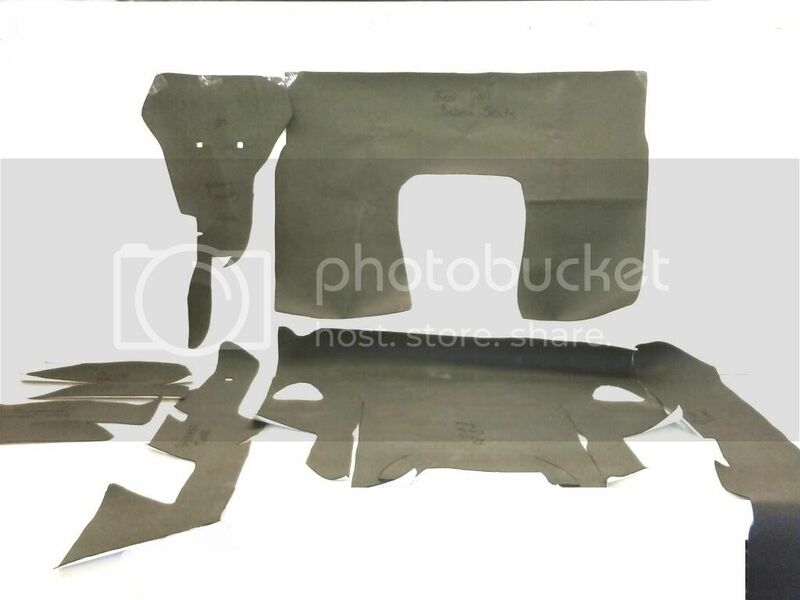 The C4 Pre-cut Insulation kit comes with everything you need to insulate and provide sound deadening in your Corvette, including Pre-cut pieces for your doors. The C4 Pre-cut Insulation kit comes with everything you need to insulate and provide sound deadening in your Corvette, including Pre-cut pieces for your doors. Other kits on the market provide a similar product, but do not provide pre-cut pieces for your doors, which with our door pieces installed, less road noise will be present in your front cabin. This kit gives you everything you need to COMPLETELY insulate your C4 Corvette. Our kit is a non-fiberglass, non-asphalt based product which weighs in at 3.5 lbs. (for those who are weight conscious), it also rejects 97% of the radiant heat, and has a manufacturer's rating of 10db of sound and road noise reduction!!! Our Kit is only 3/16" thick, so as not to interfere with proper mounting of your panels and seats, and all holes are pre-cut & all pieces are clearly labeled for your convenience. It is our #1 goal to provide you ease of install, while making a HUGE improvement in your overall enjoyment of your Corvette!!! Each kit is hand cut to our specifications, and guaranteed to make a dramatic difference in your C4!!! Each kit comes with the following pieces: Driver & Passenger front floorboard pieces, with holes cut for seat bolts and pedals. Driver & Passenger side tunnel pieces, cut around your console mounting screw holes. Full center console pieces, with holes for the center console bolts. Driver & Passenger side Door Panel pieces. Cargo area floor pieces. Full Side rear wheel well pieces. Full back wall and corner pieces. Pre-cut piece for wall behind seats. Extra pieces for odds and ends coverage that you may need. You can also add our premium layer. It is a peel and stick Ensolite IUO insulation material. This is a very high grade foam/adhesive combination that will handle high heat, is fire retardant just like regular IUO and is stretchable enough for easy install. It makes a nice addition to our standard insulation kit. We have seen up to an additional 3db in sound reduction with this added. Driver & Passenger side tunnel pieces, cut around your e-brake. Full Cargo area floor pieces. Full Side rear wheel well pieces. Rear wall behind the seats. Pictured is a C5 Coupe version.